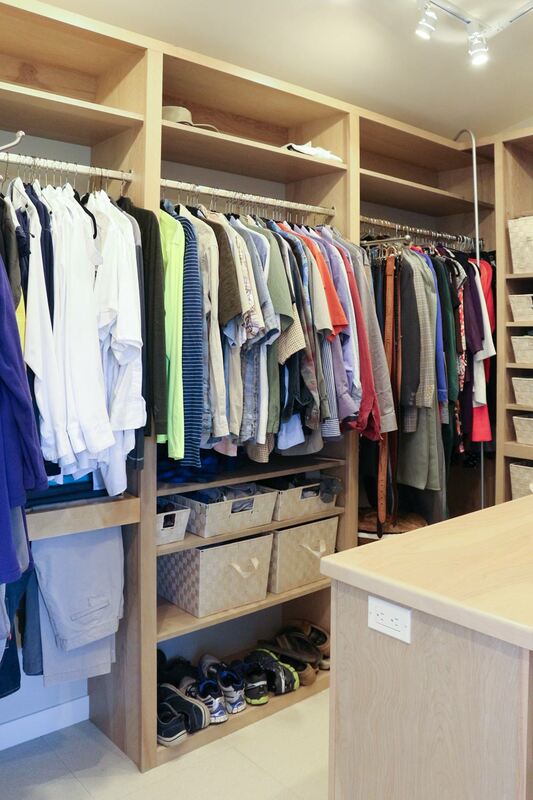 The master closet, along with the master bathroom and bedroom was part of a multi-room remodel project. 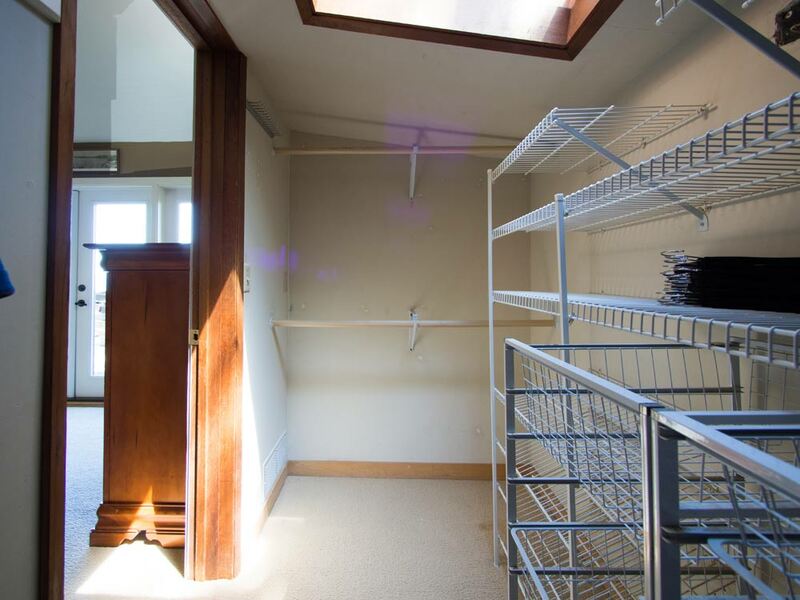 The master suite was completely rebuilt from the ground up to meet current code requirements on a critical slope lot. 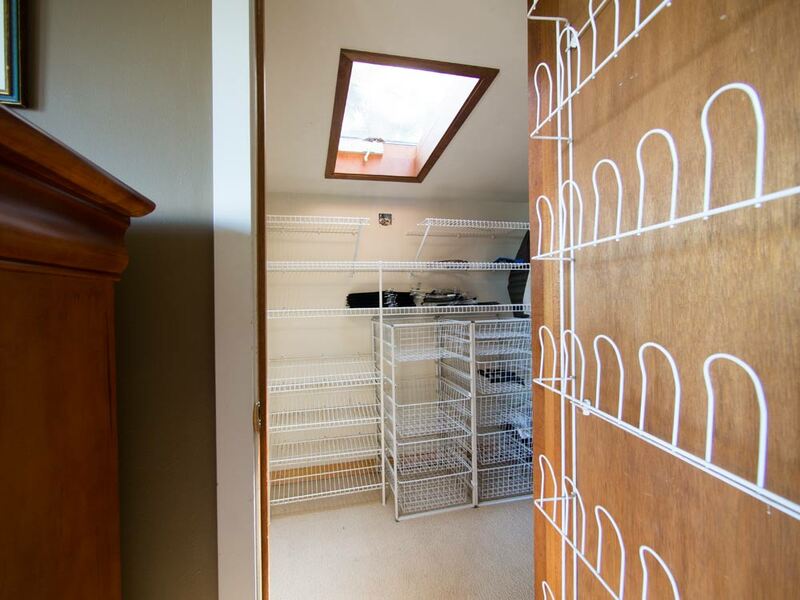 The former closet was poorly lit, cramped and kitted out with ubiquitous wire shelving and basketry. 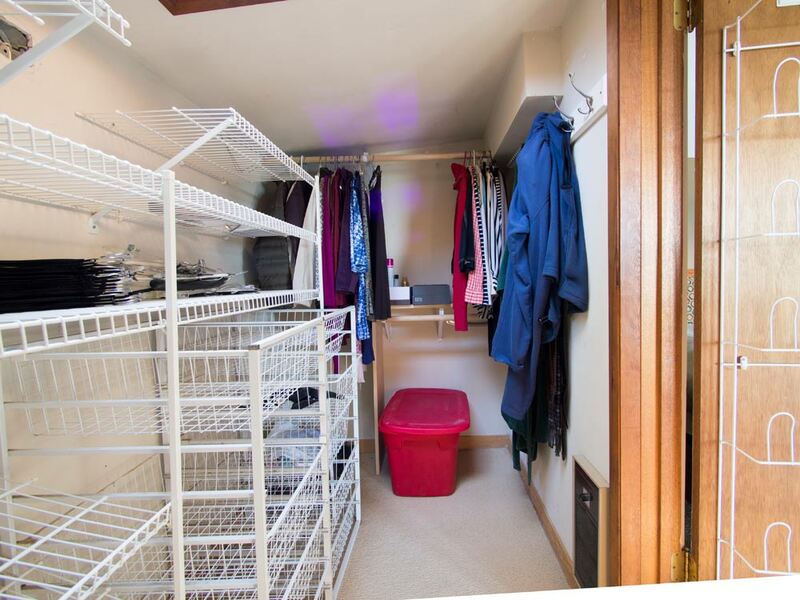 Furthermore, only one person could maneuver in the closet at a time due, in part, to the homeowners' extensive wardrobe. A rebuild provided opportunities to customize the new 95 square foot space and give both occupants the space they craved. 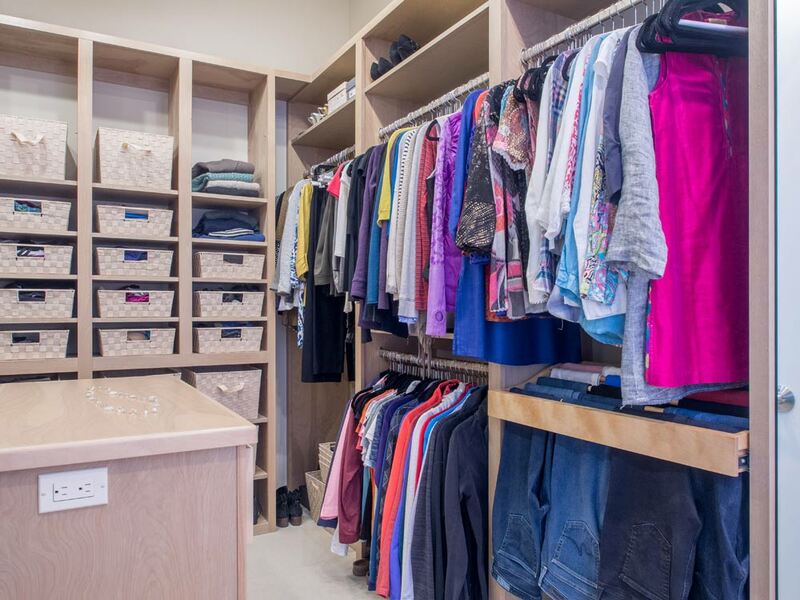 Customized features include his and hers roll-out pant racks, pull-out valet bars, pull-out belt/tie/scarf racks, a built-in ironing board and room for more than 50 pairs of shoes and an extensive collection of purses. 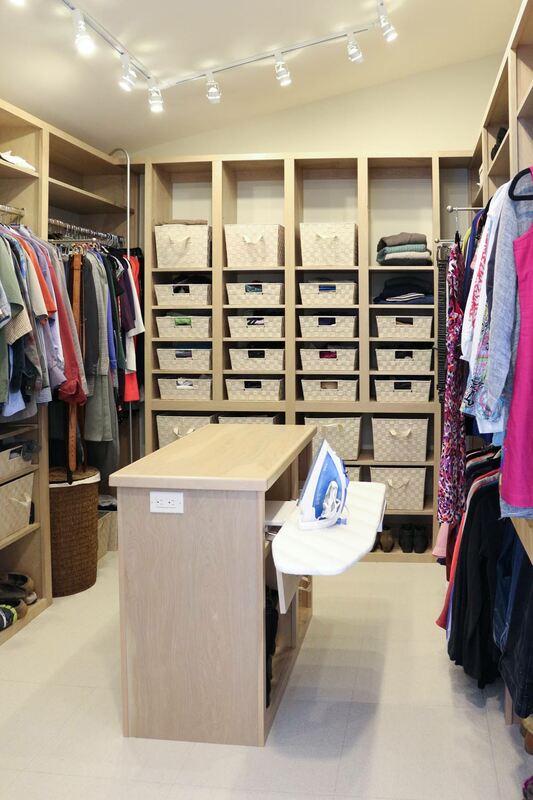 The long and short hanging spaces as well as the quantity and size of the storage cubbies were customized to the homeowners' exact specifications. 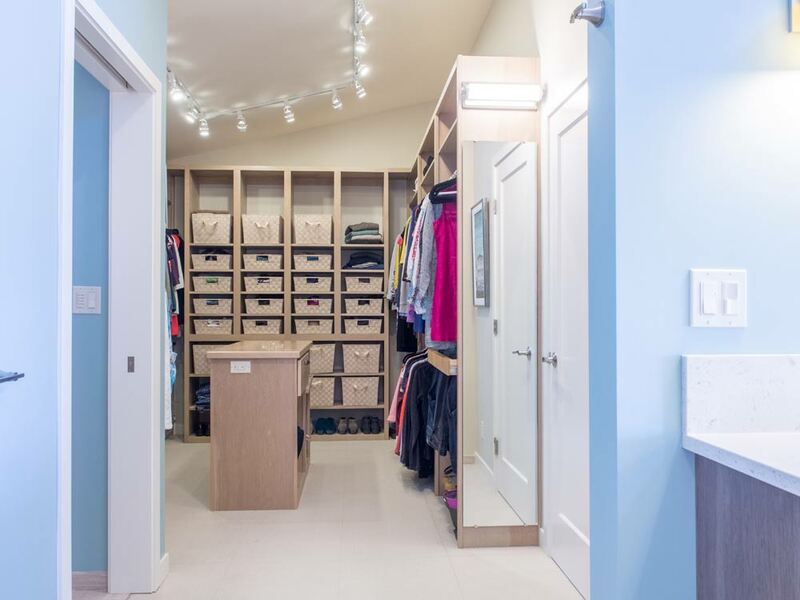 Robe hooks, a full-length mirror and directional head LED track lighting make this closet complete.